One newspaper report points to a B.C. woman who said she spent more than $50,000 over eight years on her mother's care and had to raid her own retirement savings to help cover some of the expenses. The main reason for this increasingly common situation is the need to cover the gaps left by an increasingly strained public system. Often families are not prepared for just how much things cost - a good wheelchair for example can cost $4,000 to $5,000. A new walker can cost $200 and up. Other equipment that may be needed includes electric hospital beds, scooters, chair-lifts, bath lifts, ramps and medication dispensing machines with monitoring features, amongst other things. All of these and more can be purchased or sometimes rented depending upon the services available in your locality. Costs can range from several hundred dollars to upwards of $10,000 or more for a custom stair chair lift. For those wishing to remain in their homes additional costs can include personal care workers, registered nurses and live-in caregivers. Costs can mount quickly! Many provincial governments will work with you to assist the seniors to remain in their homes. The programs vary across the country but you can contact your local health agency directly or get a referral from your physician. The provincial service agency will likely send a case manager to assess your loved one's needs and in some jurisdictions, assess their ability to afford care. Private retirement homes, which often offer a continuum of care from independent living with prepared meals and housekeeping to assisted living for seniors who need more help with bathing and changing, can cost from $1,500 to $5,000 a month. Wait times for a residential care facility varies across the country. For example, in Ontario, the average wait time is almost four months (113 days) for a placement and 154 days in Nova Scotia, according to a 2012 report from the Canadian Institute for Health Information. Families must cover the cost of care in the interim. Fred Vettese, chief actuary for Morneau Shepell, says that among Canadians 65 and older only one in 16 will find themselves in an assisted-care facility or needing high-level home care. If you're among these individuals, you might be in your 80s and older retirees spend less than younger retirees he notes. The challenges and costs of caring for elderly parents and relatives are numerous and varied. 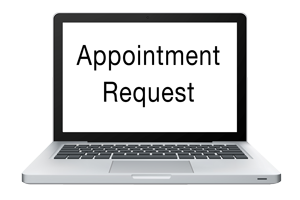 Please call our office for an appointment today to discuss your specific situation.